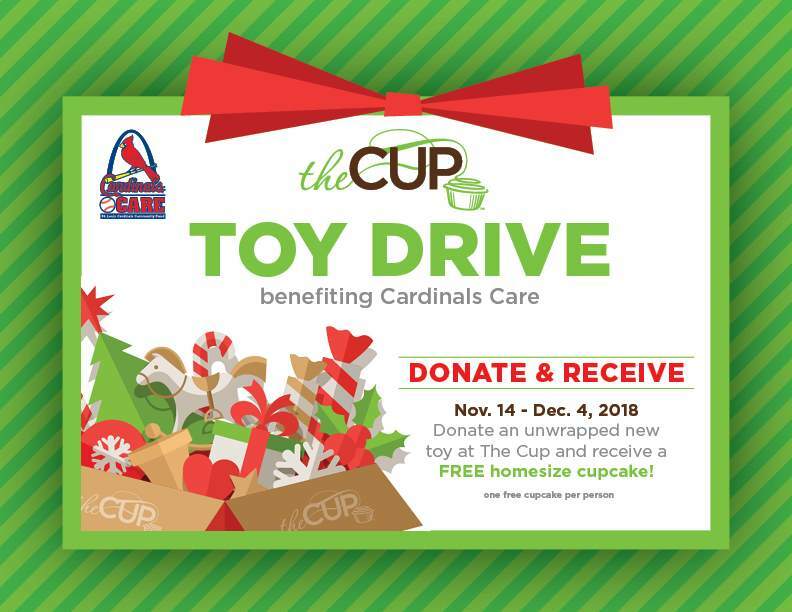 The Cup has partnered with Cardinals Care for the 3rd year in a row to spread joy this holiday season. Drop off a new, unwrapped toy to The Cup and receive a free homesize cupcake! Toy Drive begins Wednesday, Nov. 14 and ends Tuesday, Dec. 4, 2018. One free homesize cupcake per person.